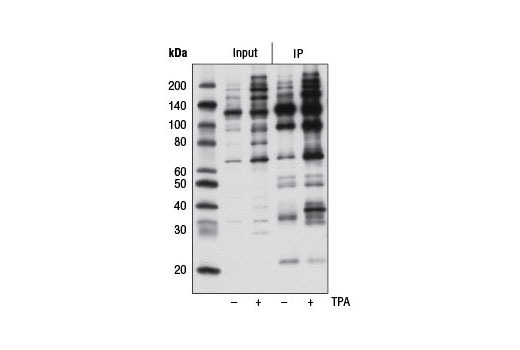 Phospho-PKC Substrate Motif [(R/K)XpSX(R/K)] MultiMab™ Rabbit mAb mix detects endogenous levels of many cellular proteins only when phosphorylated at Ser residues surrounded by Arg or Lys at the -2 and +2 positions. 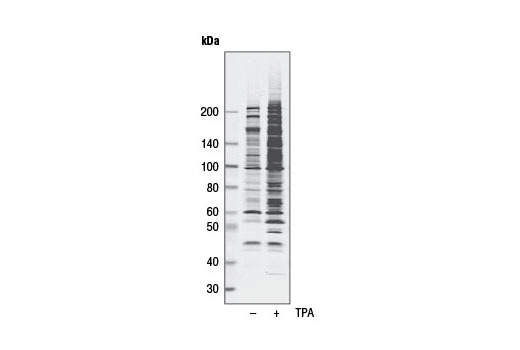 The antibody may also cross-react with S*X(R/K) motif-containing proteins. 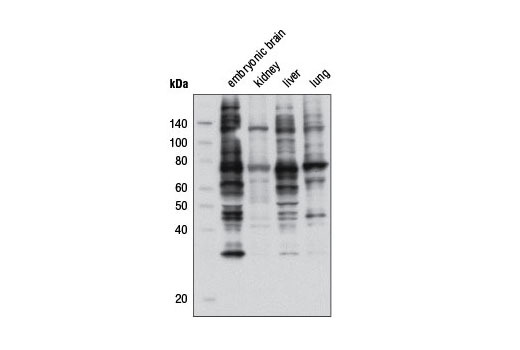 The antibody does not cross-react with nonphosphorylated Ser residues, phospho-Thr in the same motif, or phospho-Ser in other motifs.